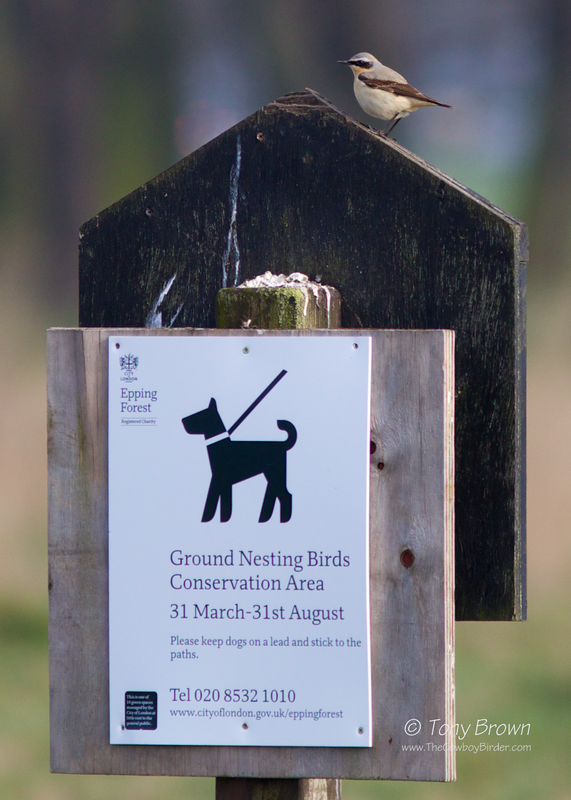 The signs are in place and the birds are singing and displaying, but it remains to be seen if the last few remaining pairs of Skylarks on Wanstead Flats are given the chance they need to successfully breed this year. 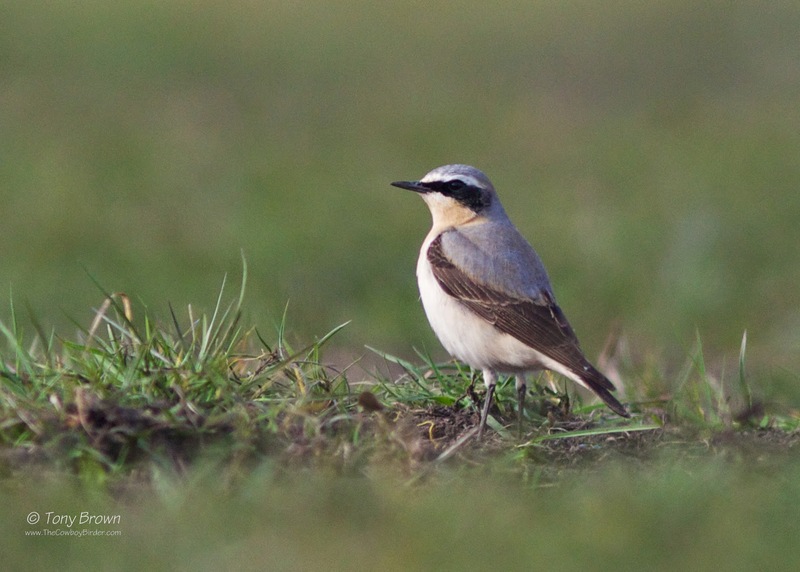 Early indications suggest there are as little as five pairs of Skylarks currently holding territory on this important grassland habitat on Wanstead Flats. 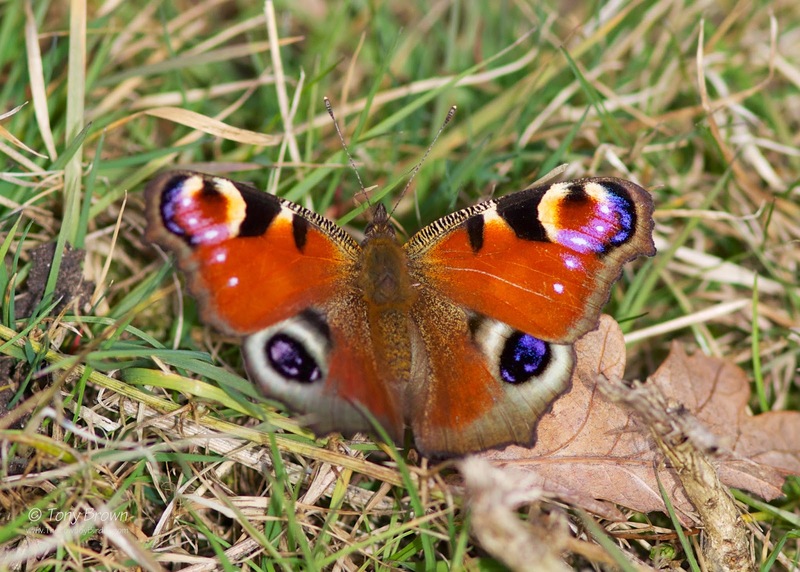 This small fragile population are on the verge of being lost forever on one of London's last remaining breeding sites. 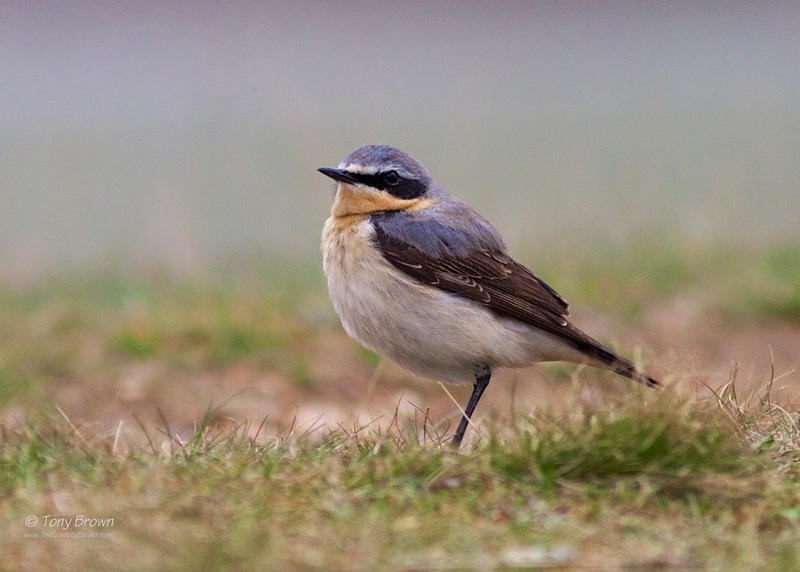 This once common bird of our British countryside has seen a dramatic decline in its numbers, and has worryingly slipped onto the BTO's Red List of Birds of Conservation Concern in the last few years, having seen more than a 50% decline in its UK breeding population in the last 25 years. 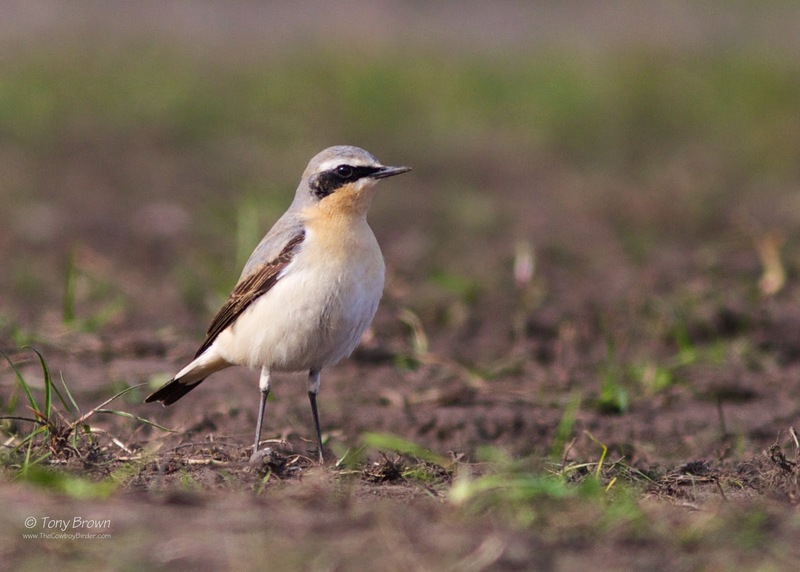 The biggest threat to our Wanstead Skylarks isn't the loss of suitable breeding habitat or the changes to agricultural farming methods but something much simpler...DISTURBANCE. 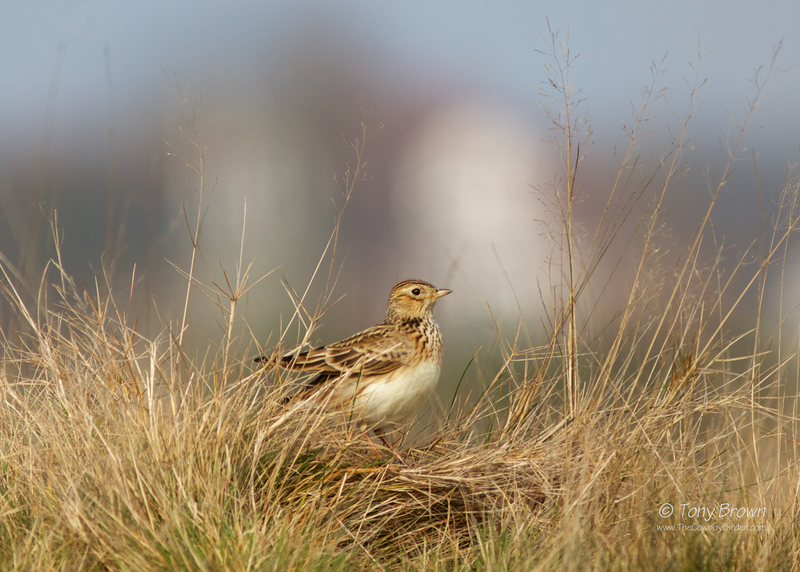 That's right disturbance - it's a minor miracle that Skylarks have ever breed on Wanstead Flats considering its geographical location and its popularity, but somehow they do and that's worth fighting for. So what can be done about it? It's quite simple really, as the sign above clearly shows, between the dates of the 31st March through to 31st August - stick to the well trodden paths which criss cross the Flats and always keep your dog under control and on a lead when in the clearly signposted conservation areas, and that's it - simple. 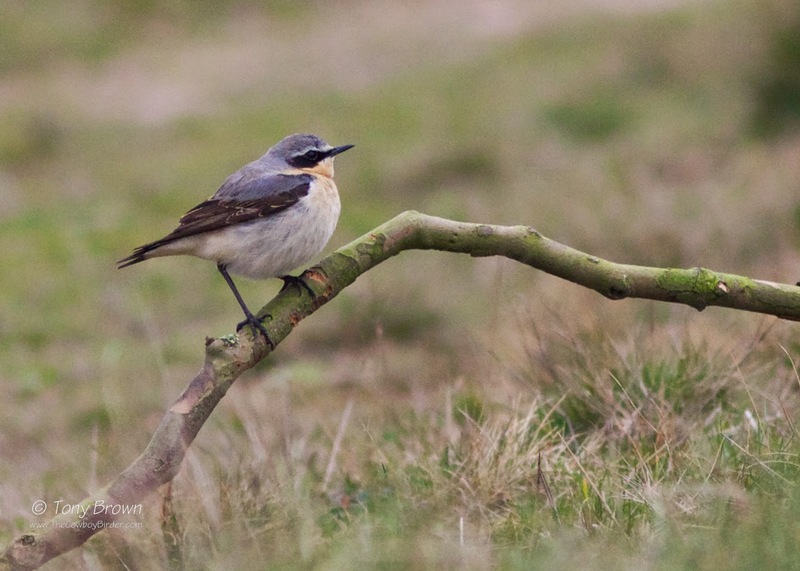 Let's all play our part in helping and protecting this wonderful songster on Wanstead Flats...before it's too late! They have finally arrived - well one has! 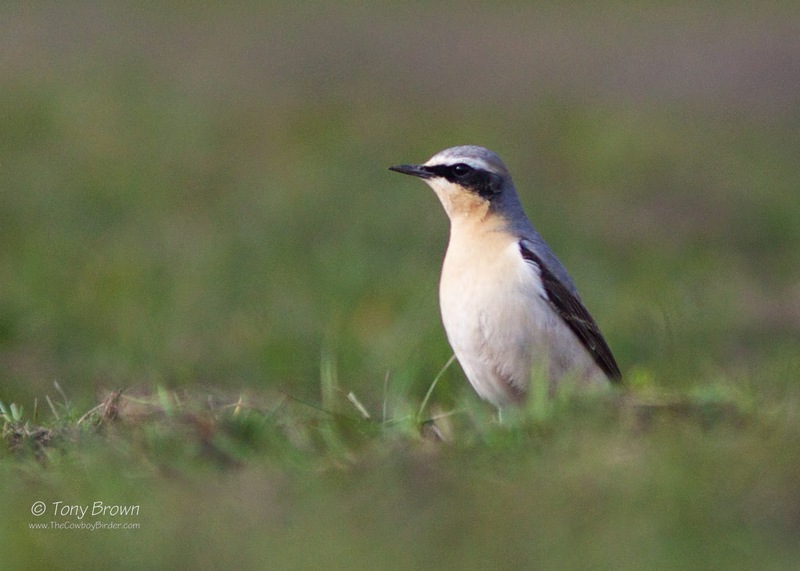 News of the first Northern Wheatear on the Flats eventually filtered through to me - I'm not sure who this years lucky finder was as our usually reliable Wanstead bird news service (NC's Twitter feed) was putting in an early shift at work with presumably no access to a mobile, but I think it was Tim or Bob or even Dan who stumbled across the patch's first Wheatear of the year - around these parts it's always a good reason to celebrate. 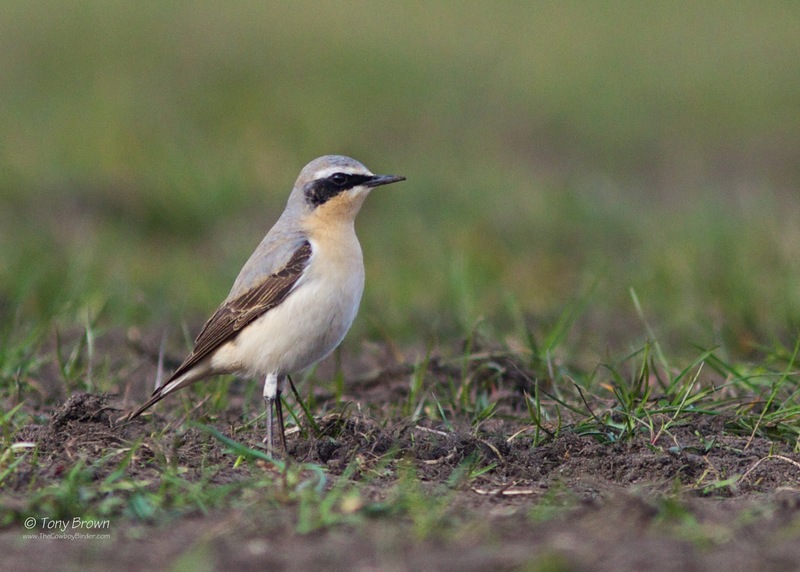 Not knowing if the bird had quickly done a bunk or had even been savaged by a dog (I jest, but this is Wanstead) I chanced my arm and headed to the Centre Road car park for a late afternoon forage, and soon enough I found this smart male Wheatear parading up and down one of the well trodden pathways which criss cross the Flats. 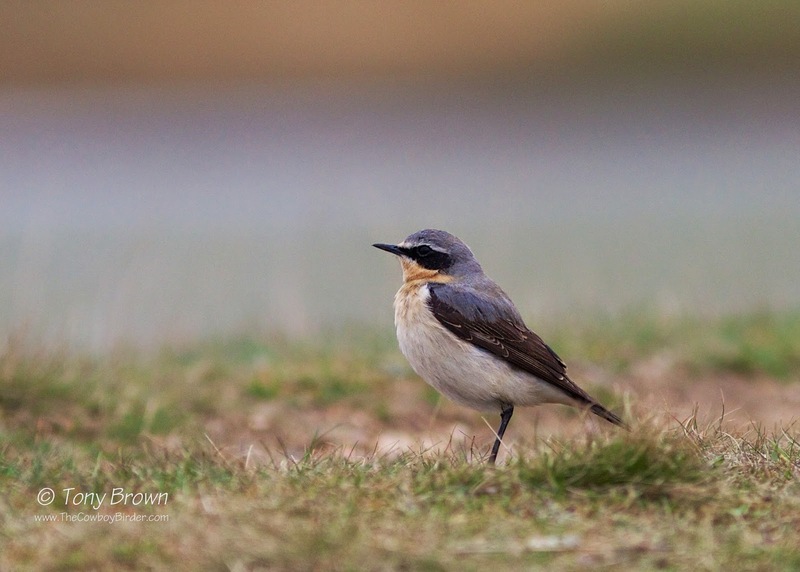 As expected with Wheatears in the spring it was quite flighty and wouldn't let me get too close with the camera, quickly flying across the road onto the open expanse of the fairground field, here looking more settled, I managed to grab a few shots before I had to dash off again. I'm hoping these images will bring a smile to Steve Gale's face. 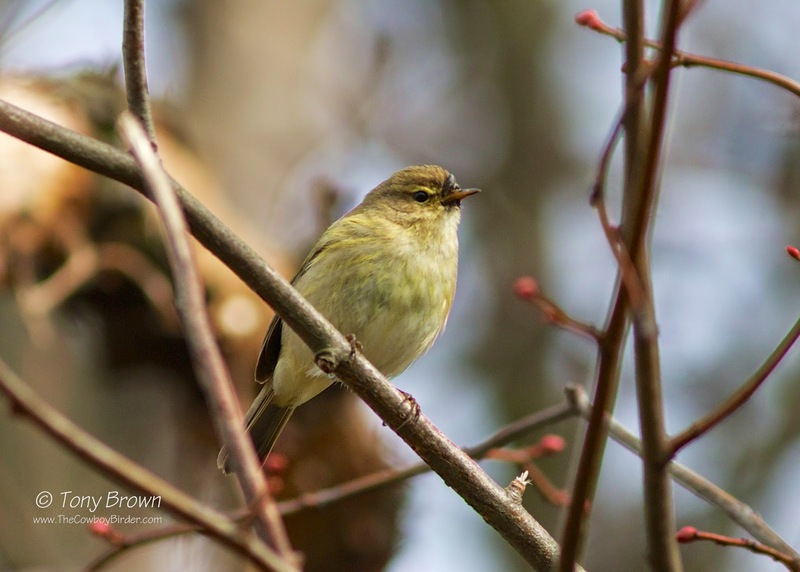 Seeing your first returning summer migrant is always a welcome sight, and my first this year was a rather predictable singing Chiffchaff in Long Wood on the Flats at the weekend. 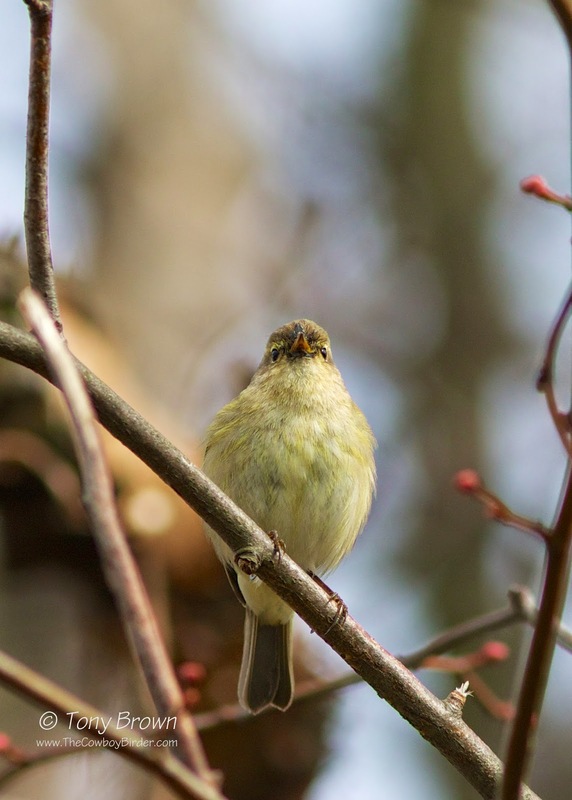 There's always a small question mark over whether these early singing Chiffchaffs are actual migrants or just birds which have wintered in the UK and have now found their voice as we enter the start of spring. 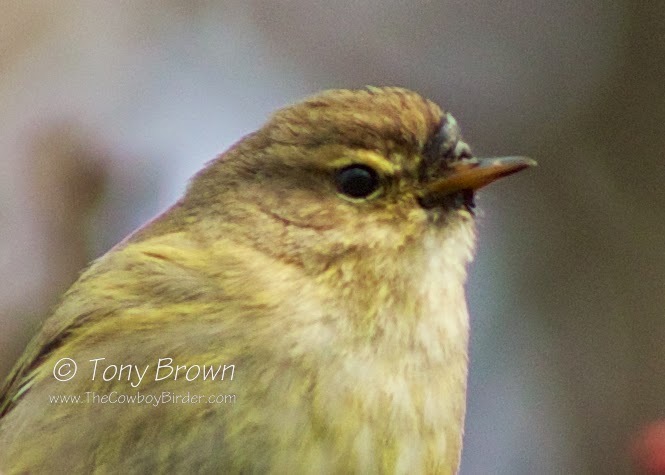 But as the photos below show, this individual is showing a thick 'pollen horn' (a matted mass of feathers around its bill) which indicates this is a nectar feeding bird. 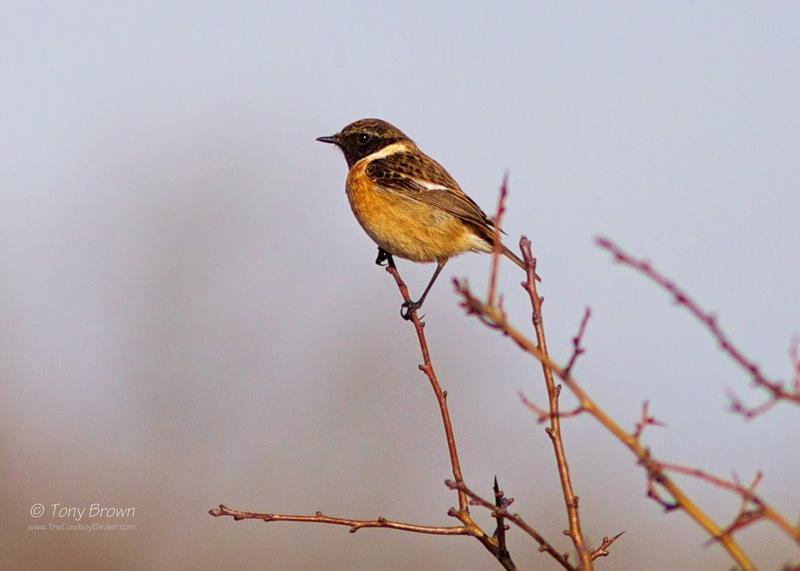 As many of our nectar rich trees are yet to reach full blossom, this would suggest this bird has been using nectar as a high energy food source along its migration route in warmer climates (Spain, Portugal, etc) where spring is in a more advanced state and trees from the Citrus family are already in flower - so with confidence I'm happy to believe this little fella is a true summer migrant and not one of our UK wintering Chiffchaffs - welcome back. 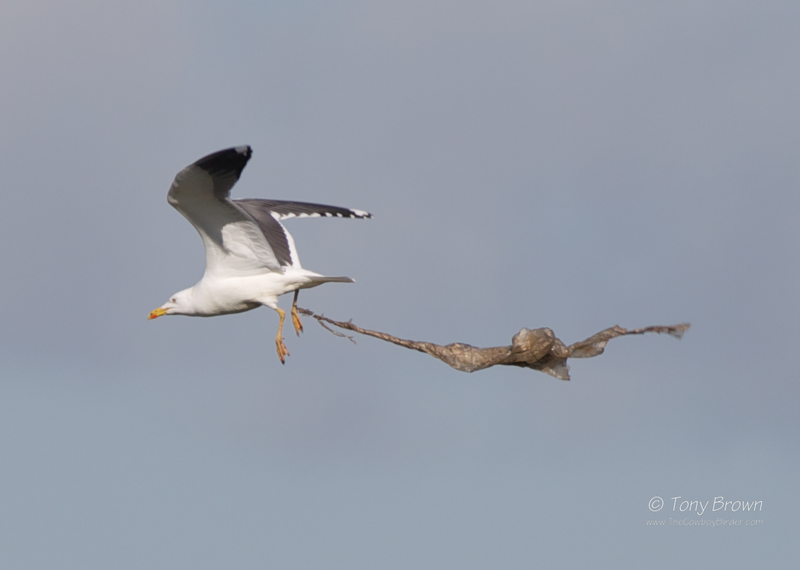 On a recent trip to Rainham and the area around the Stone Barges, this Lesser black-backed Gull grabbed my attention as it flew from the direction of the landfill site. As it crossed the skyline I could clearly see it was dragging a foreign object along for the ride. 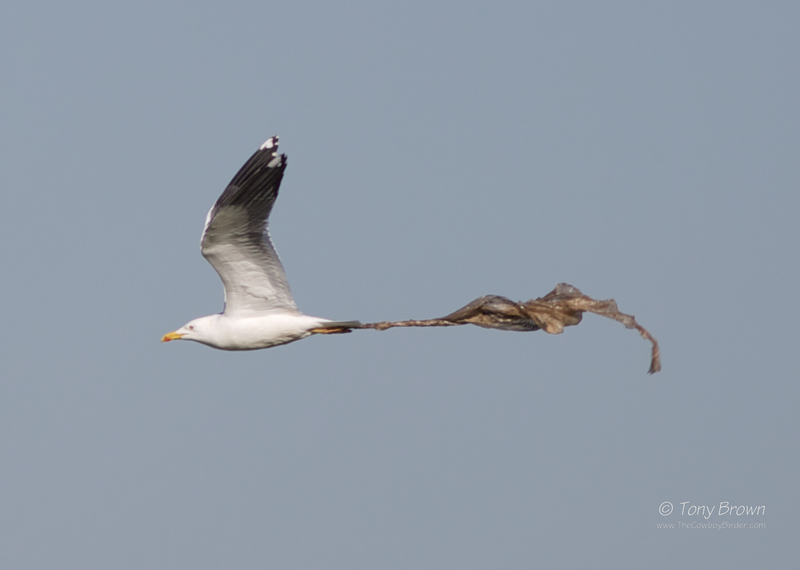 What looked like a polythene bin bag had become entangled around one of the birds legs, and although it didn't show any real issues when flying this all changed when I followed its flight and it landed on the river Thames - it then started to struggle and failed to take off again! 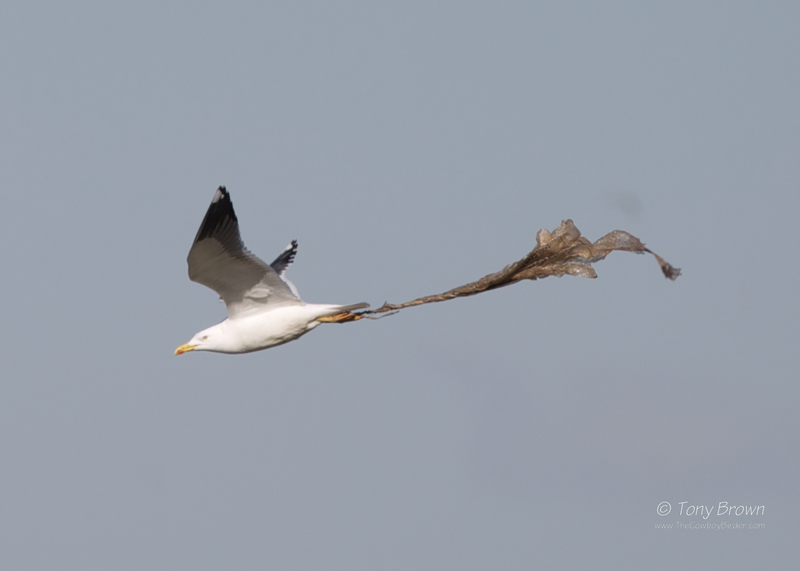 Even a large, powerful Gull like a Lesser black-back couldn't find the strength needed to lift it self out of the water and take flight, as the additional weight taken on from a wet and saturated bin bag kept it firmly grounded. 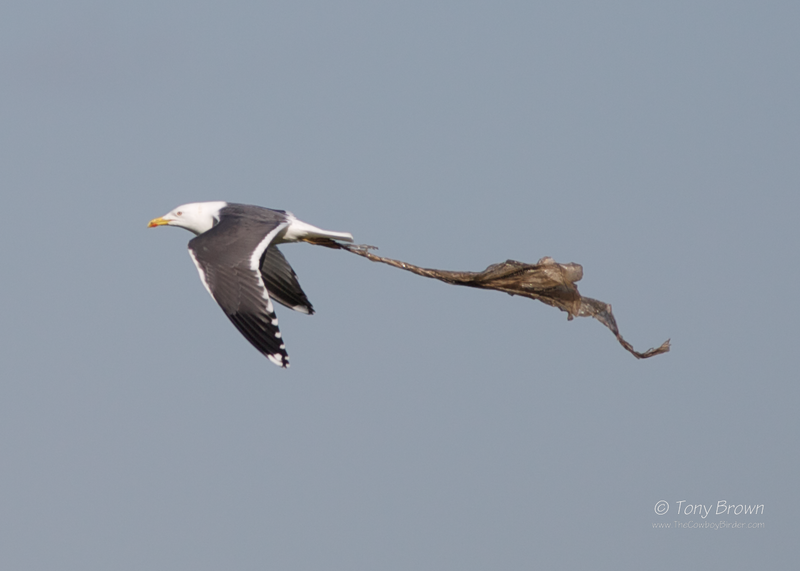 I continued to watch the bird struggle as it drifted down river on the tide, constantly flapping without success, with only a small hope of the polythene bag tearing and breaking free from around its leg, I can only imagine one inevitable outcome for this unlucky bird. Whilst tip feeding Gulls scavenging on the remains of human waste will always reap the rewards of an ever wasteful society, there are risks for those Gulls who choose this unnatural but ready available means of food source, as sadly this Lesser black-backed Gull found out too its cost - stealing chips from unsuspecting day-trippers at the seaside might have been a lot safer option!